Mr. Steve Crook, President. An Englishman living in Switzerland, Steve started sailing National 12-foot Dinghies in England in 1966 but graduated to the International class in 2007! 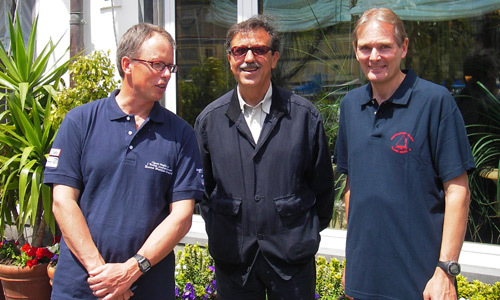 Mr. Renzo Santini from Italy, fomer committee member of the Italian Dinghy Class, who has sailed a 12-foot dinghy since 1992. Mr. Pieter Bleeker from The Netherlands, former chairman of the Dutch dinghy club, who has been sailing 12-foot dinghies since 2001.
their dream: to regain official international status for the 12-foot dinghy. For more information please contact one of the committee members.